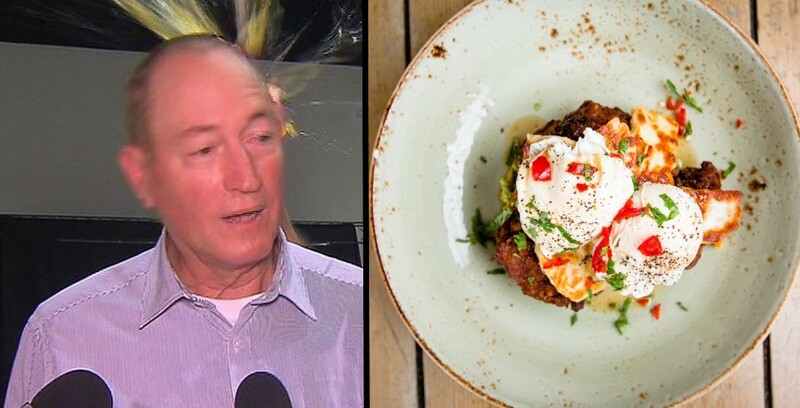 Gastro travels: Trendy Melbourne cafe starts serving "eggs a la Anning"
Tourists are flocking to a trendy Melbourne cafe to try the latest craze: eggs a la Anning. In honour of far-right Senator Fraser Anning getting egged on Saturday, Mucho Ironia cafe in Brunswick has been overrun with customers ordering the specialty breakfast. The cafe also offers some extras with the breakfast, including the right wing of a chicken and some avocado that’s been punched in the face.